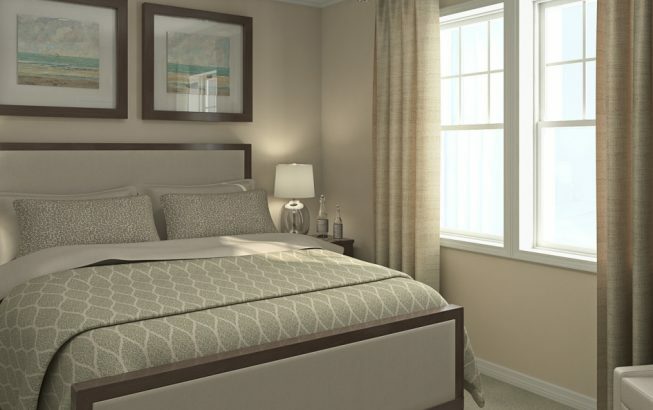 The fourth level offers two spacious bedrooms, each with its own adjoining full bath. 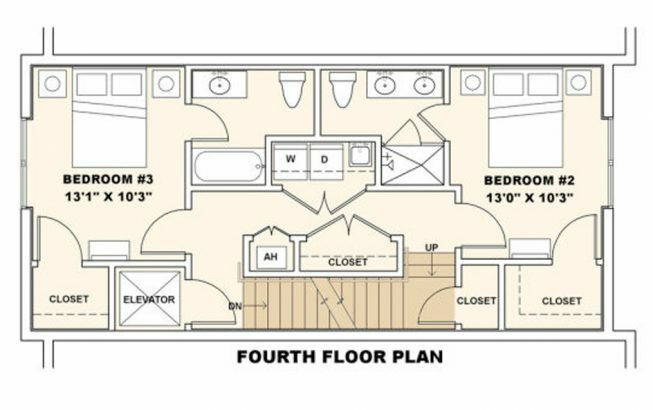 The bedrooms are located at opposite ends of this level with a laundry room discretely located in the hallway between them. This configuration offers complete privacy to those individuals staying in each of the bedrooms. 13' 0" x 10' 3"
Bathroom #2 Dimensions 8' 6" x 8' 6"